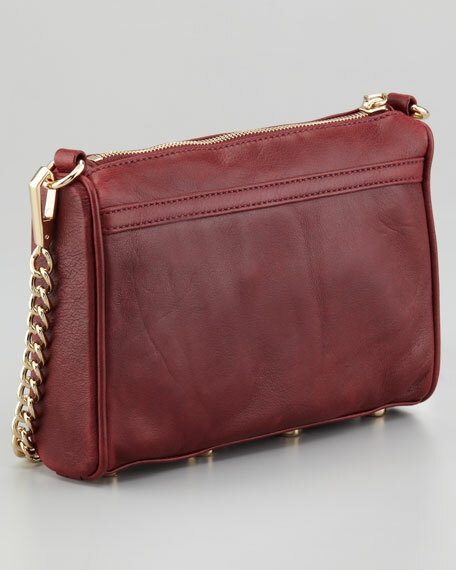 The Rebecca Minkoff M.A.C. 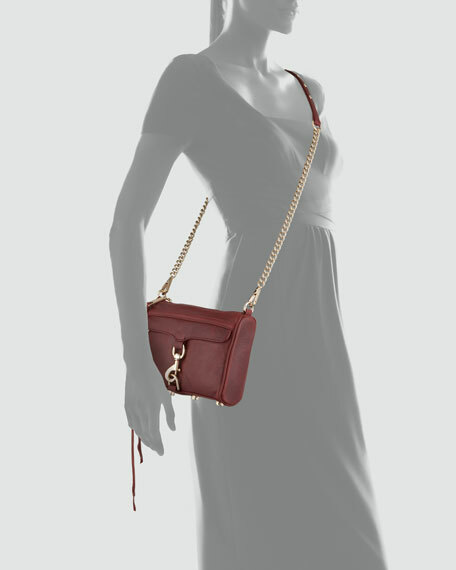 bag has practically reached celebrity status with its thoughtful day-to-night design. Now it gets even better with a convenient and on-trend crossbody strap. 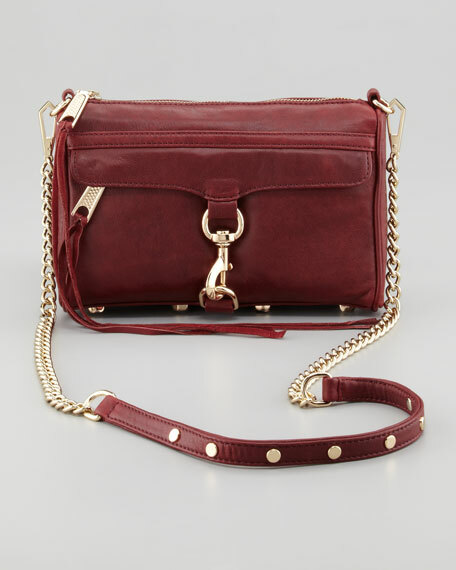 Removable, crossbody chain strap with studded leather inset; 22 1/2" drop. Front flap pocket with hidden zipper and lobster clasp. 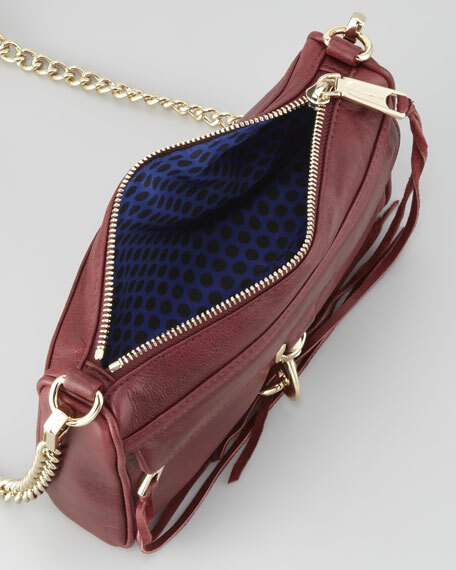 Studded trim along bottom of bag. 6"H x 9"W x 2"D; approx. 1lb.